In 1851 the Shipwrecked Fishermen and Mariners’ Royal Benevolent Society provided the first lifeboat, ‘The Teignmouth’. 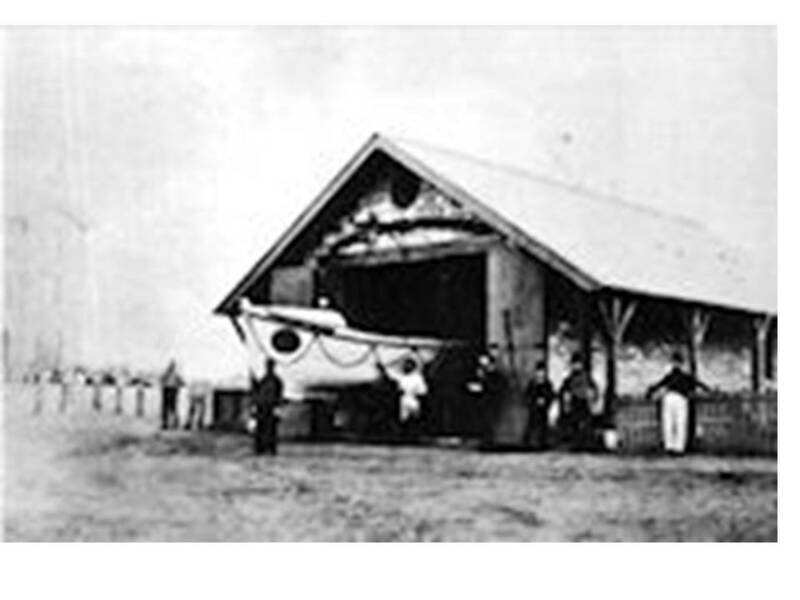 The RNLI (Royal National Lifeboat Institute) took over the lifeboat station in 1854 and the first recorded service was in 1857 when two people were saved from Pilot Boat and two were lost. In 1862, at a cost of £223. 3s 0d, the Boathouse was built on the Den with doors facing the Ness. The following year it was rebuilt with doors facing the harbour. Also that year the RNLI’s experimental iron lifeboat the ‘China’ arrived for trials. However, this was replaced in 1864 by a conventional wooden-hulled, ten-oared lifeboat, also called the China. Both of the China’s were defrayed by money donated by the staff of Gilman and Company who traded in Shanghai and Hong Kong. It was renamed Arnold in recognition of fund-raising efforts by Mr B Arnold, Chairman of the Devon & Cornwall Lifeboat Bazaar. 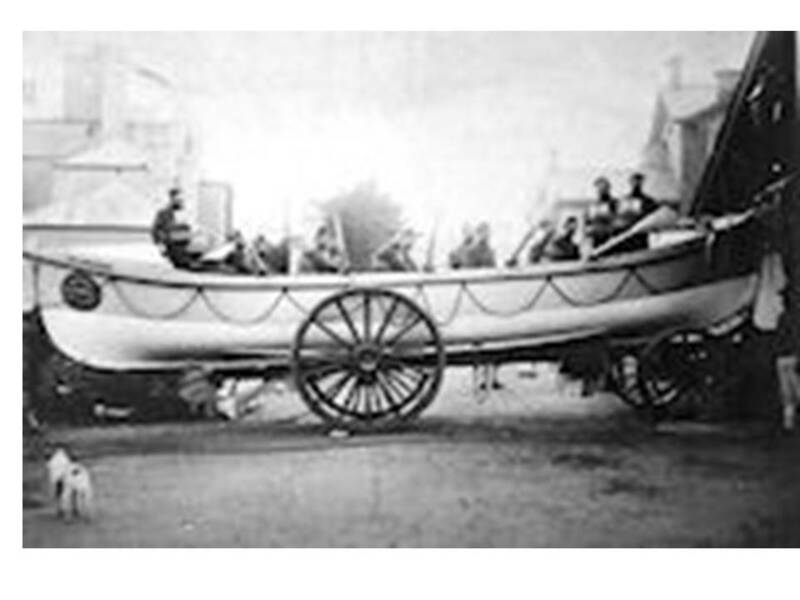 In 1887 a new 34ft ten-oared lifeboat went on station also called the Arnold. There were various replacements to the lifeboat through to 1940 when the station was closed for the war. It remained closed until 1990 when the station re-opened for evaluation and became fully operational on November 3rd with an Atlantic 21 class inshore lifeboat B538. This lifeboat was provided from the generous legacies of Mrs DV McGriggar Phillips, Mr RK Talbot and a special appeal to the people of Leeds. The following year an Atlantic 21 class inshore lifeboat, the ‘Frank and Dorothy’, was provided by the bequest (£56,000) of Mrs Dorothy North in memory of her husband Frank. 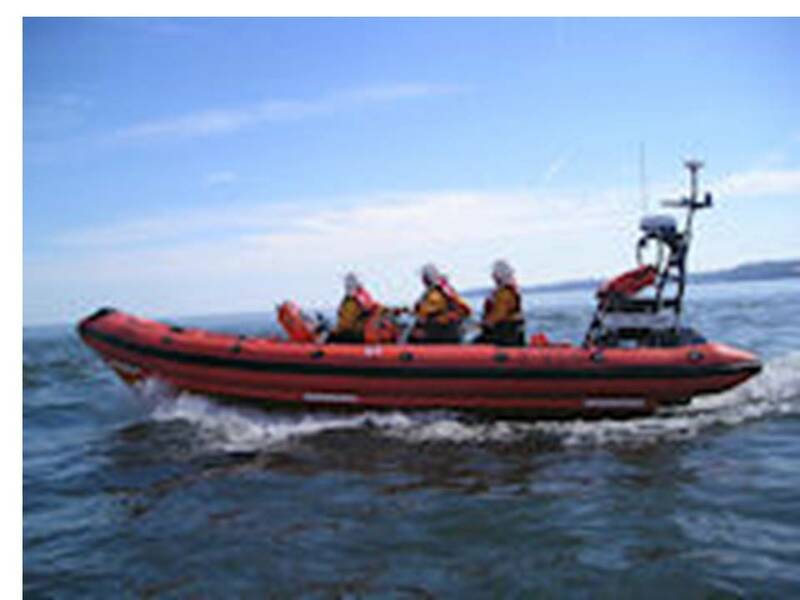 The latest acquisition is an Atlantic 85 class inshore lifeboat ‘The Two Annes’ which went in service on August 1st 2006. The records indicate a number of commendations and medals for long-service and gallantry. Each year one of the fund-raising events is the Boxing Day ‘Walk in the Sea’. See the youtube video for some of the fun in 2012.